Ingredients: green China tea, lemon grass, ginger, orange husk, pieces of dried apples. Colour: amber golden. Taste: Juicy – sweet with maturated citrus fruit bouquet. Recommended infusion time is 3-5 minutes. Refreshing and smoothing day time tea. Pasta, dried fruits, sweet snacks. 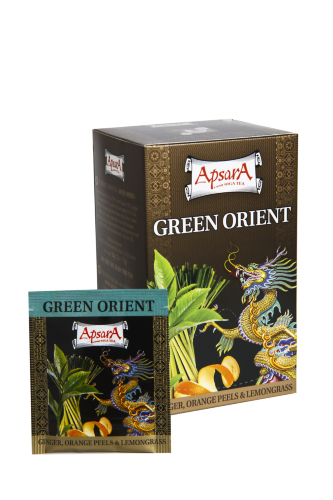 Green tea and delicate tasting notes of different spices. Traditionaly teas is spiced up of many cuisines arround the Orient.